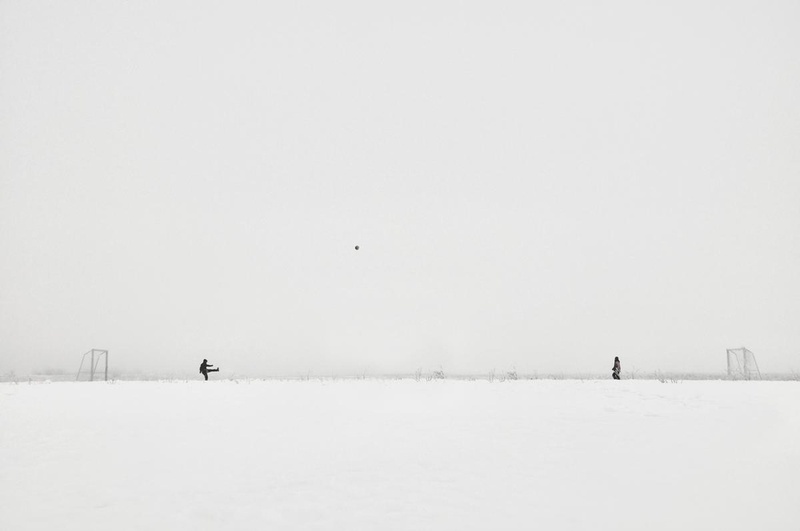 Two boys on a snowy field playing a version of soccer for two. A player can touch the ball only twice. One touch is for stopping the ball and the second one is for the kick. - Gold and Silver Medals – Potographer of the Year Awards, Fine Art category (national photo contest).